2016. ​Brain slides from a rhesus macaque monkey. 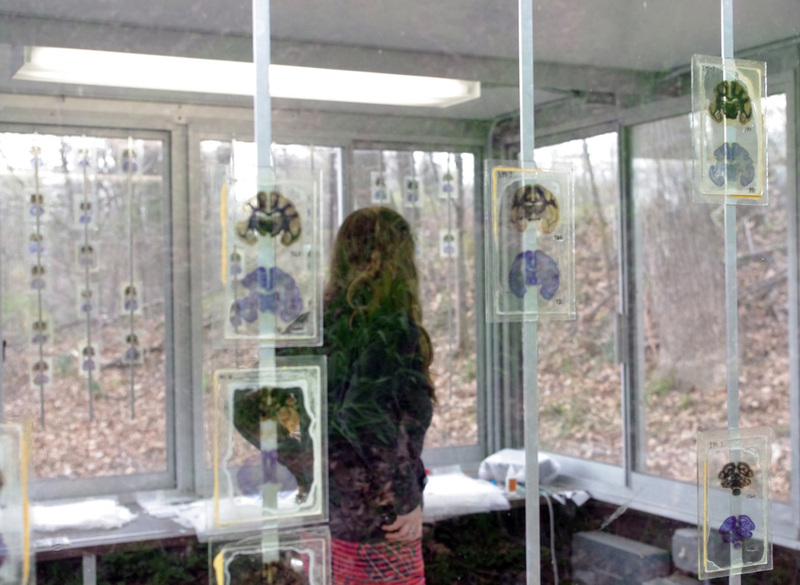 ​A site-specific installation at Lafayette College, Easton PA.
Windows into the Mind is a site-specific installation for the windows of the guard house on Sullivan Road at Lafayette College. 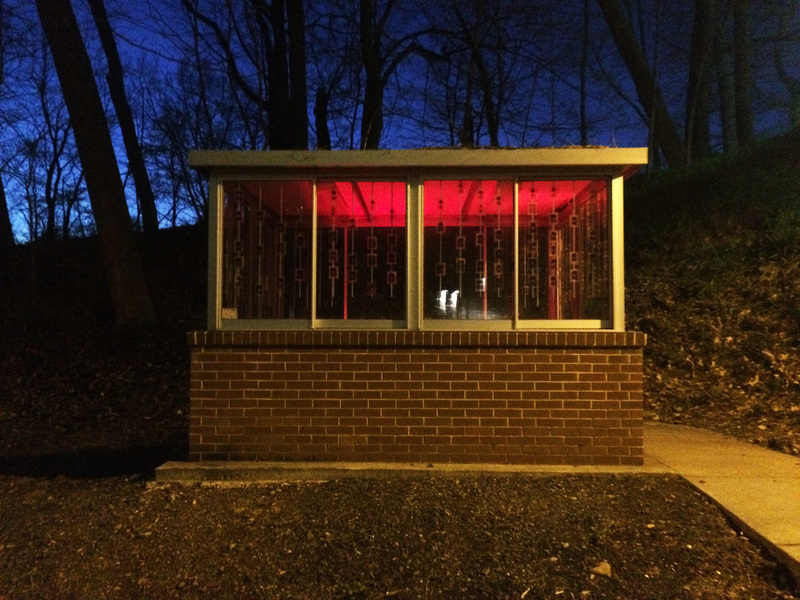 Comprised of old-style brain slides from rhesus macaque monkeys, the glass illuminates in the daylight and glows in the evening. Juxtaposed against the large empty space, the slides contain something much larger: parts of minds past.